The arrival of spring means picnics and potlucks. You can not go wrong with a good potato salad. Recently, my sister asked me for instructions on how to make potato salad, so I thought I would share it with you too. 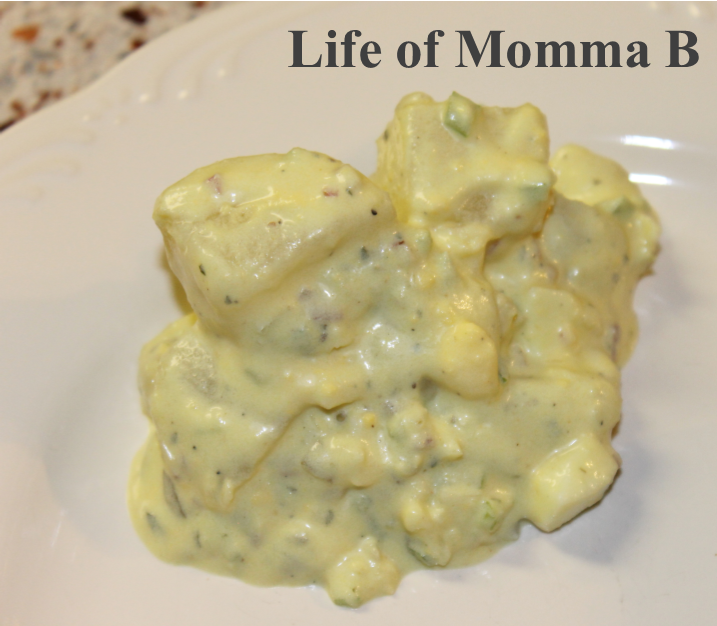 My recipe for potato salad is designed to feed a crowd. Peel and dice potatoes in to bite size pieces. Bring a large pot about half full of water to a boil. After it has come to a boil add 2 teaspoons of salt and potatoes. Return to a boil and cook 4-6 minutes (just until the potatoes are done). Drain and rinse with cold water (you want to stop the cooking process). Place the potatoes in a large bowl, cover and refrigerate, while you prepare the other ingredients. In a medium bowl combine mayo, yogurt, 1 teaspoon of salt, sugar, pepper and parsley. Set aside. To the potatoes add pickle relish, onions and celery. Pour most of the dressing mixture over the potatoes and fold in gently. Add more dressing if needed. The potato salad should be extra saucy at the stage, because the potatoes will absorb some of the liquid as they sit. The amount of dressing needed will vary with the size of the potatoes used. TIP: As you peel the potatoes, place them in a bowl of cold water, so they do not turn brown while you are prepping the other potatoes. The secret to good potato salad is cooking the potatoes just until they are done. If you over cook them you will have mashed potato salad. Use a fork to test the doneness. The time required depends upon the size of the potato pieces. This entry was posted in Recipes and tagged gluten free, potatoes, salad, sides. Bookmark the permalink.